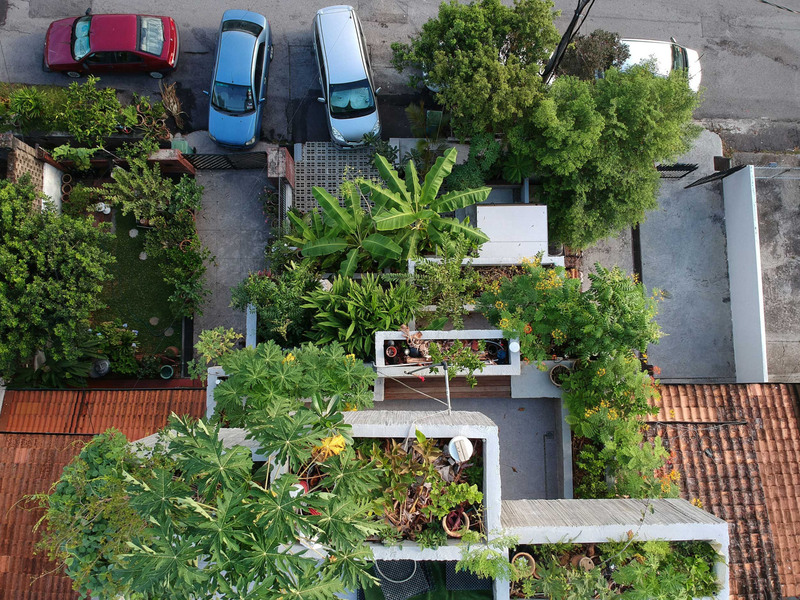 Built for a retired couple who loves to grow their own food, this home design by Kuala Lumpur-based firm FormZero is comprised of several concrete blocks planted with more than 40 types of edible plants on every floor. With various patio spaces that double as mini home gardens, the Planter Box House oscillates between garden, farm and living space. 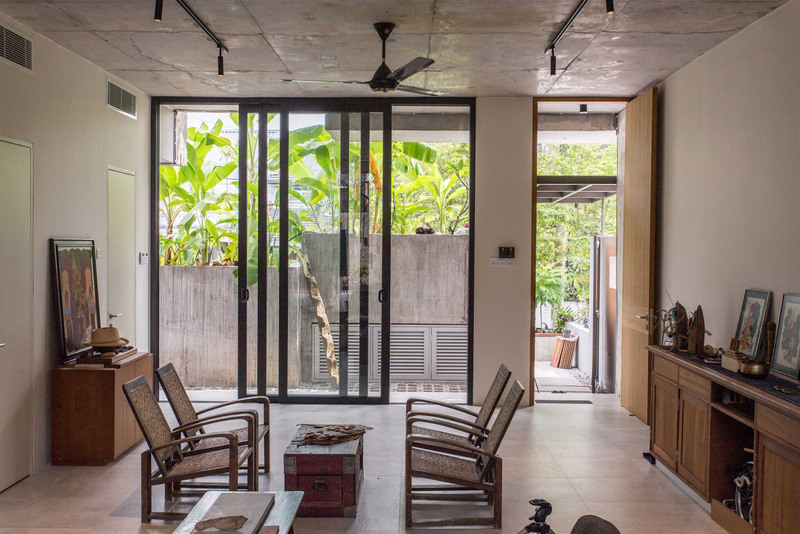 The home’s overall design was heavily influenced by Kuala Lumpur’s vernacular. Being that the area is a tropical region, the homes are often built with split bamboo, a practice that goes back to the area’s indigenous people. By using bamboo as form work for the concrete cladding, the architects not only paid homage to the local history and culture, but ensured a durable design that would last years. Using the two durable and low-maintenance materials added extra resilience to the design so that the three-story home could withstand heavy rain storms and local pollution. In addition to the home’s resilient features, the architects worked closely with the homeowners to create a design that would enable the couple to grow their own food. Accordingly, the design is a 3,650 square feet building that spans over three stories, with every level outfitted with various concrete planters that provide ample space for growing a variety of plants. A custom-made irrigation system, a joint endeavor between the couple and the architects, enables the boxes to store and reuse rainwater. The cascading design was a strategic feature that helps each box enjoy optimal natural light, but also adds a system of natural air ventilation throughout the interior. On every floor of the home, large sliding glass doors that lead out to the balconies and floor-to-ceiling windows create a strong connection to the exterior. 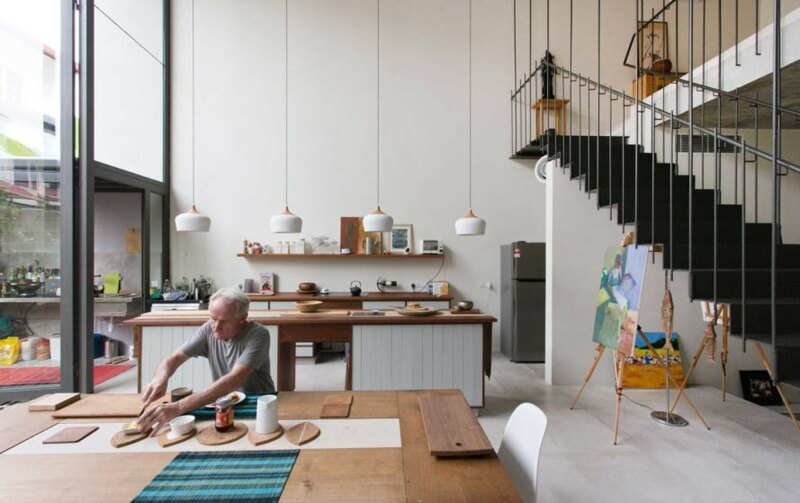 All-white walls and minimal furnishings, along with the abundance of greenery, will allow the homeowners to enjoy a healthy, self-sufficient lifestyle as they age. 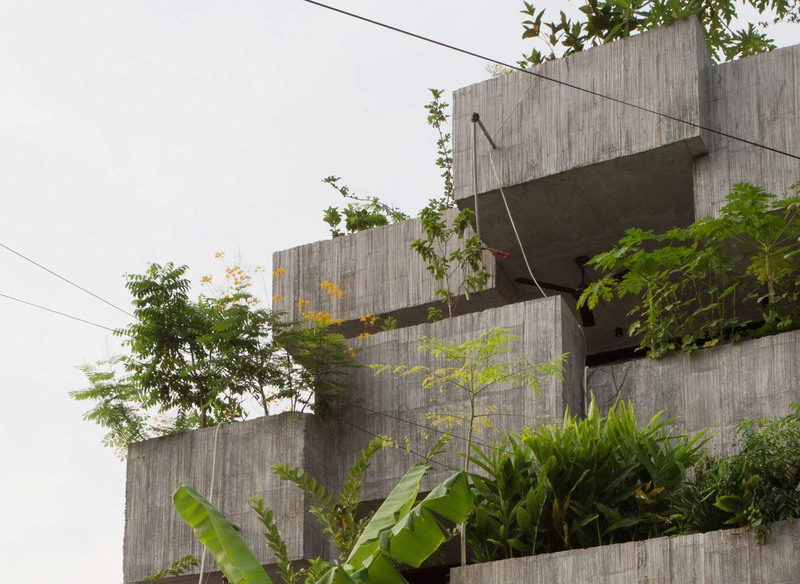 The Planter Box House is made out of cascading concrete planter boxes. The boxes enable the homeowners to enjoy their love of gardening. The home is made up of various concrete blocks on various levels. The interior space is modern and bright. 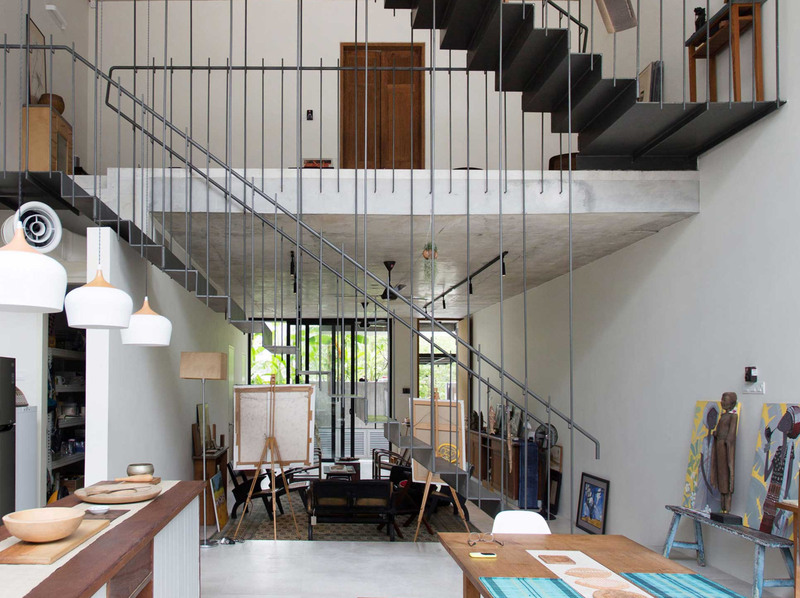 In contrast to the raw concrete exterior, the interior is light and airy. Each of the blocks has plenty of room for gardening. The all white walls and natural light give the home a fresh aesthetic. 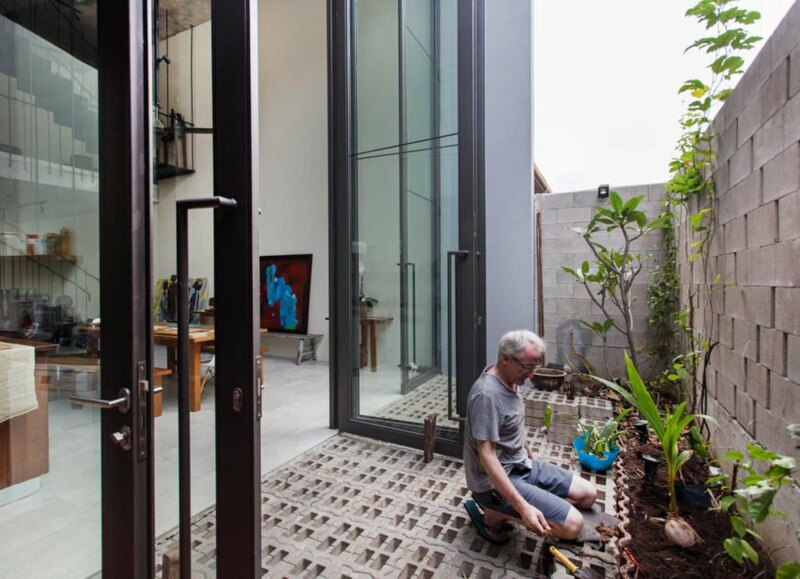 Large sliding doors let in optimal natural light. A central skylight floods the home with natural light and air circulation. The bedroom has high ceilings and minimal furnishings. 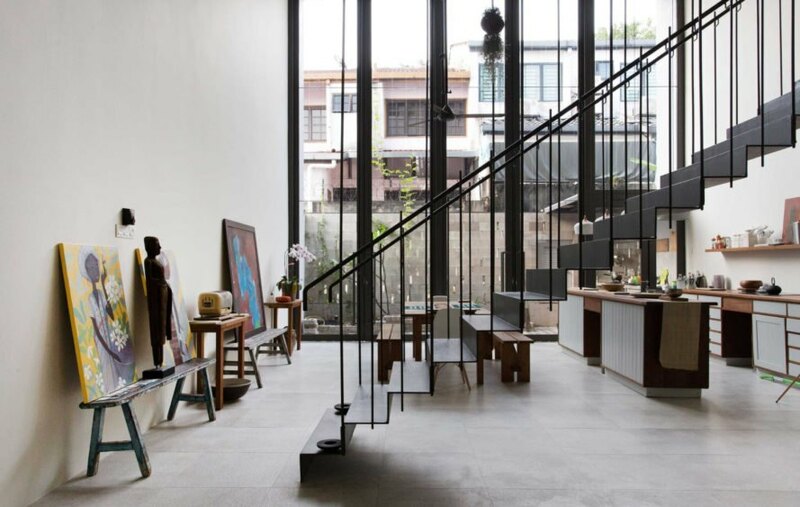 Large glass windows create a strong connection with the exterior. Raw, rough concrete was used to clad the home. The rough concrete is contrasted nicely with the greenery.